My Family Fun - Kid Tough Digital Camera Fisher Price Real digital camera for kids! 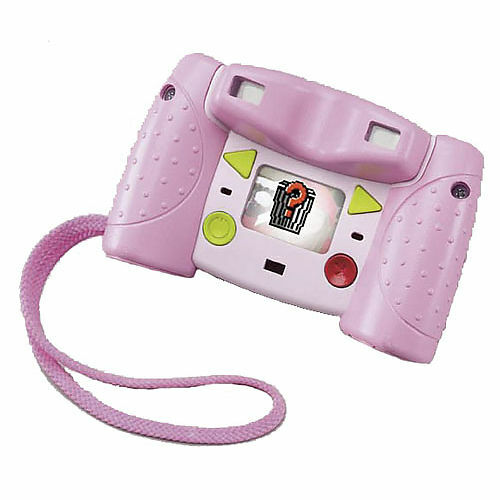 Real digital camera for kids! The feature set includes: 640 x 480 resolution for quality 4" x 6" prints, 8MB built-in memory to store up to 60 pictures, SD card slot for increased storage capacity, easy navigation menu, USB cord for computer connection, CD of digital camera software, built-in flash and wrist strap. What a perfect way for kids to get creative by taking, viewing and even printing their own digital pictures! Sturdy dual hand grips for a steady shot. Big easy-to-use buttons for little hands. 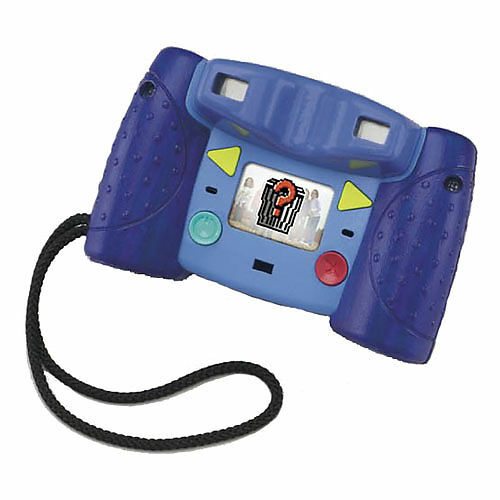 Two-eye viewing which makes it easy for kids to look through the viewfinder. Durable design protects the camera and screen. Great easy-to-use software. Choise two colors : blue or pink. 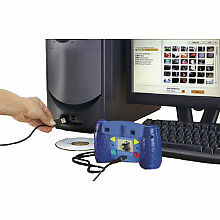 Camera is compatible with Windows 2000 or higher and MacIntosh. Requires 4 "AA" alkaline batteries (not included) and includes 1 lithium battery. Photo Software Requirements: OS Windows 2000/ME/XP - Hardware: Pentium Class 500 MHz processor or better - 75 MB hard drive space recommended.